Explore the complete guide below, then download to refer to again and again. Step 5: The Call to Action - What to do Next? That is the challenge, but also the opportunity. Your competition is dealing in the same environment. 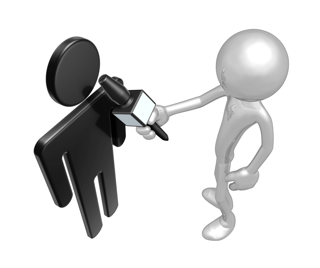 The methods of reaching your mutual prospects are well understood and available to all of you. But the art of crafting messages that capture attention is harder to replicate. Some of your competitors aren’t even sensitive to how important it is. Moreover, improving the effectiveness of your messages is “free.” There is no added cost to your advertising or writing or speaking or social media because you have a more effective message – just better results. Think of it this way. 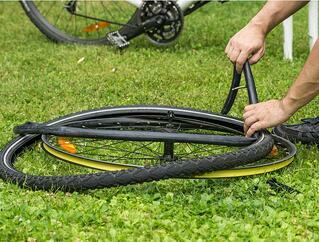 Failing to create an effective message is like riding around on a bicycle with flat tires. Everything you do is harder than it should be. 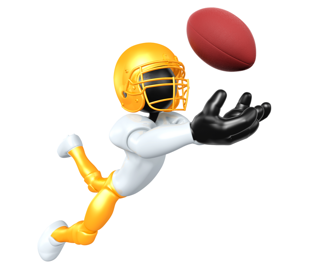 Ready to put air in your marketing tires and leave your competition in the dust? This report concentrates on how to express your message in the forms of an elevator speech, an e-zine, article, or blog post. However, the fundamentals covered here apply to all forms of communication from advertisements to presentations to website or brochure copy and more. As a small business owner you are likely a practitioner of the service you provide or an expert on the products that you offer. Even when that’s NOT the case, you can’t help but be biased – you are inside your business looking out. Your view of what your business does and what’s important to say in your marketing is developed from your perspective. You can’t help it – that’s just the way it is. That’s ok, and in fact very useful for lots of reasons. However, when it comes to creating an effective marketing message – one that will capture the attention of your ideal prospects and inspire them to take action – it’s important for you to take on an alternate vantage point. When working with my clients I’ve found it especially helpful to take a very purposeful (but figurative) journey to the client’s perspective in order to craft more effective marketing communications. Take a moment to review the graphic below. Imagine that you are separated from your ideal clients by a river. On their side they are preoccupied with their own issues – their problems, frustrations, and desires. You’re on the other side, armed with your products, services, and capabilities – which could help your prospective clients resolve their problems or get closer to their desires. But your clients are too busy to stop and pay attention to what you and your marketing have to say. They’re busy putting out that “fire,” right! So how do you overcome this natural divide? How do you get your prospect to cross the river? You don’t. That’s the most critical point I want you to get from this article. 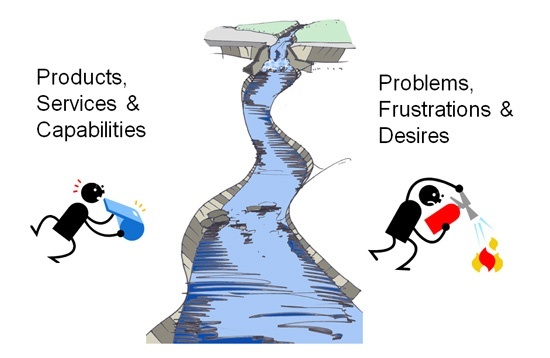 As a marketer it is your job to figuratively cross the river and communicate in the language of your clients’ problems, frustrations, and desires. Marketing is not about trying to find more and more clever and memorable ways to describe your products and services. You may be thinking “we already do that – we know to talk about the benefits not the features.” That’s a good step, but only part of the way across the river. There is a subtle but important distinction between talking about the benefits of your product and becoming an expert at articulating the problems, frustrations and desires of your client. How your product or service solves those problems is an irrelevant distraction when it comes to simply capturing their attention. Now armed with this new vantage point – one of standing on the same side of the river as your ideal client – the next step is to draw out of them what you need to know. There are many sophisticated ways to conduct market research and uncover the issues that our clients face, but many of those methods are too costly and time- consuming or just plain overkill for a small business to pursue. I like the fast, simple and affordable approach – just ask them. A simple 15 minute phone interview will provide you with invaluable insight and ideas. If you’ve been in business for awhile, then set up these conversations with a few of your best clients – the ones you want to “replicate” the most. If you’re new to your current business, then you’ll need to interview people that fit the profile of who you’d like to serve with your business (and you’ll need to modify the questions a bit). Just be sure to not turn these conversations into sales calls in any way. You are setting up these interviews purely to increase your knowledge. I’ve included a template of questions to ask in your phone interviews. In many cases I conduct these conversations on behalf of my clients. Interviewees tend to be more open and direct when talking with a 3rd party. If you decide to have someone do these calls for you, just be sure you find someone who is a good listener and aware of your goal. He or she will play a key role – listening carefully to pick up on common themes and words used by the clients. For this article, I will assume that you plan to conduct these interviews yourself. You’ll see that I recommend asking just a few questions. You should be listening more than anything. You want them to talk, not give you short answers – so no questions like “on a scale of 1 to 10…” The following pages include 1) an email draft that you can modify to invite your past or current clients to participate, 2) the survey questions themselves, and 3) a recommendation for how to compile your notes. As our business continues to expand, we want to make sure that our investments in [you decide– people, equipment, training, etc.] and marketing "line up" with the needs of our current and future clients. In that process, we would appreciate your assistance. I would like to schedule a phone call with you that should take no more than 15 minutes. We want to understand what was most important to you as you researched companies in our industry and explore your experiences with our business and others. If you are available to participate, please let me know a few convenient times to speak over the next few days. We would greatly appreciate your help. I look forward to talking. Some possible variations to this include offering to make a small donation to charity for each person that participates, a small gift card, etc. As you conduct these conversations, be sure to listen for key terms about why they were in the market in the first place, how they went about researching their options, and why they chose your company. What emotions do you think were involved in their need for help and in their decision to work with you? Skip ahead to the next section to review the 7 emotions that successful marketers leverage, just so you have your ears tuned to them. What was going on (in your business, home, etc.) prior to seeking the help that we eventually provided? What “triggered” you to be in the market for our type of product or service? How did you come to learn about us? What was the most important factor in your decision? Where, if at all, did outcomes of working with us fall short of expectations? Elaborate. What has been the best outcome of your work with us? Why? What has been your biggest frustration in doing business with other companies like ours? While your conversations with clients are still fresh, be sure to take thorough notes. I like to create a spreadsheet with each client in its own column, and each question in its own row. The cells in the spreadsheet get big, but it makes it easy to glance across a given row (question) and pick out common words and themes. I’ve included an example on the previous page. Did a majority of people talk about the same problem or frustration that they wanted solved? What was that “trigger” that pushed them over the edge to actually look for help and a company that would provide it? As an example, here is what a tax accountant might pick up from the interviews. A core problem is that people are worried that they are either not doing something right, or are paying too much in taxes, when they do their own paperwork. After you’ve done your interviews just look through your notes in the spreadsheet and list out things that you heard that could be categorized as core problems, non-core problems, and ultimate desires. We’re going to use those pieces of information to draft the following types of marketing messages. The easiest place to experiment with new messages is in your elevator speech. There is no cost to changing it, you can quickly try out different versions, and you get near instantaneous feedback. We/I work with (target audience) . who want to eliminate/get rid of/overcome (the core problem you identified) . We/I help them (ultimate desire or outcome) . I work with busy professionals who want to stop worrying about their taxes. I help them save money and rest comfortably because everything has been done right. It can also be useful to construct a “bumper sticker” version of your elevator speech – something in 8 words or less. I work with busy professionals who are tired of filling out lengthy forms just so their tax accountant’s job is easier. With our unique process they’re prep work is done in 5 minutes. “Home of the 5 minute tax prep” or something along those lines. Remember to tune into the emotional aspects of the frustrations and desires you hear. You may have learned in the past that people buy on emotion, then justify with logic. It’s similar when working to get their attention in the first place. 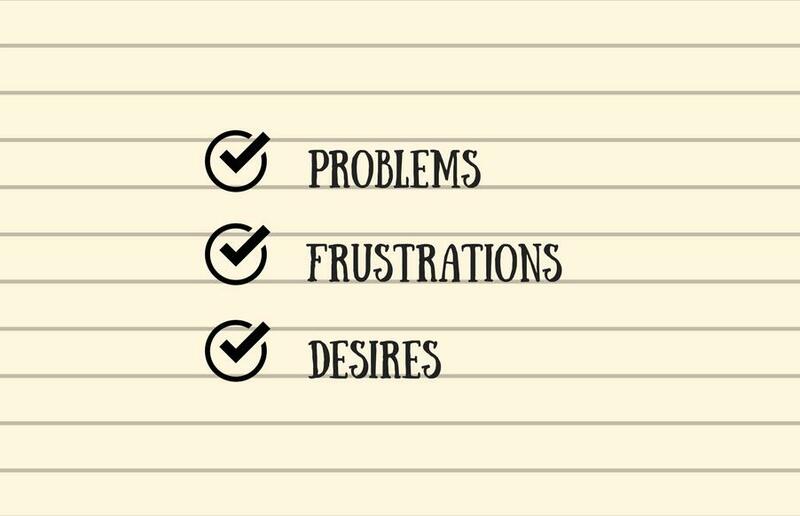 Frustrations or desires that connect to an emotion are the best starting points for developing marketing messages that capture attention. In his great book, “Method Marketing... How to make a fortune by getting inside the heads of your customers,” Denny Hatch discusses the seven emotional appeals that stimulate action... the things that drive people to make decisions. What “emotional want” do your ideal customers have that you can address with your products or services? What might our accountant friend use – greed (save people money)? fear (of doing something wrong)? salvation (to take away the burden)? One great benefit of interviewing your clients is that, in addition to getting solid input for your elevator speech, tagline line, and other primary messages, you also end up with a longer list of gripes, problems, and aggravations that your customers experience. Don’t throw this stuff out once you’re happy with your elevator speech! This information is a goldmine of titles and topics for your marketing. Looking for inspiration for a blog post? Go to your master list of problems, frustrations and desires. Not sure what articles to share on social media? Look for authors and posts that wrestle with these same issues. Not sure how to write the subject line for that email broadcast? Guess what – you know where to look. Getting attention is so critical in marketing that you should spend more time crafting your title or subject line than you spend on the entire body of the email or post. That’s right! If you don’t capture their attention in the first place, what good will the rest of the article do either of you? Don’t get too fancy, clever or salesy. Mostly people want to have a good idea of what’s in the email or article based upon the title. That doesn’t mean you have to be boring though! The main point here, again, is that getting attention occurs on the right side of the river. Even just a few problems can be transformed into a virtually endless stream of useful, attention-getting messages. 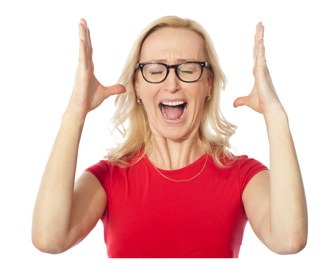 Becoming an expert at merely articulating the problems your clients face will serve you well. You can visit my blog to review topics that I’ve chosen. Do you see how each topic connects to the problem of not having a consistent flow of clients? Once you’ve earned their attention because you spoke their language, you have to be careful to not scare them off. As you well know, when people are surfing the web or clicking through emails these days it is all too easy for them to get turned off and just move on to the next thing (next email, next website, etc.) Your initial “grip” on their attention is tenuous. Again, the analogy of the river is useful. You’ve taken their attention away from that fire they were worried about to now devote a few seconds to see what’s behind the subject line or title. If you wanted to get them to your side of the river, would you just grab them and jerk them over there? Of course not. The fire they were fixated on is still within reach. They really want to go back to it, so your opening paragraphs need to reassure them that leaving the fire behind and devoting just a minute or two to what you are talking about will be well worth it. Your goal with the opening paragraphs of an email or blog post is simply to get your reader to nod to him or herself and start thinking “Yep, that’s me! That’s exactly what I’m wrestling with…” or what their business struggles with or other symptom that is common among your clients. Is your ideal client nodding his or her head up and down when they read the first two paragraphs of your article or email? Great – mission accomplished. The list is actually endless, so I won’t use up too much space here. I simply want you to be biased toward the right side of the river. Tutorials, checklists, interviews, case studies… will hold your readers’ attention better the more they are expressed in their language, not yours. Example: Let’s say the tax accountant decides to write an article “7 Reasons People Tend to Pay Too Much in Taxes.” Rather than just diving into the information, the opening paragraphs might talk about how much money overall is paid in taxes that didn’t need to be, or a few cases of how much money he saved his clients. This opening is meant to build up the reader’s interest so when it comes time for the “meat” they are excited and eager to learn. Finally, the ultimate “win” after you’ve successfully captured and held a prospective client’s attention is for your message to inspire them to contact you. This can be to schedule a meeting, receive some additional piece of information that you’ve offered, sign up for a seminar or webinar, etc. Guess which side of the river will serve you best – of course, it’s the right side. As tempting as it might be to invite someone to “learn more about our services” or “explore how our product would help you” or even “attend a webinar to get an inside look at our software,” I challenge you to create a next step for your prospect that is in the language of their… can you fill in the blank here… problems, frustrations or desires. While the above invitations may still work pretty well, they are just not as attractive as they could be. Moreover, your prospect is more likely to view this meeting as a sales call, and therefore raise his or her guard. Example: So having absorbed all this information, our accountant friend would stop suggesting that people “call to learn more about our tax preparation services” and start offering something like a “Free Tax Savings Assessment” or a “Complementary 7-Point Tax Review” that includes a further description of what will be reviewed and what the prospect can expect to learn in the process. Now that you are armed with a new understanding of what it takes to capture and hold attention in this age of information overload, I encourage you to go back to “Step 1” of this document and truly take the recommended actions. As much as we may already understand the problems our clients face, there is always something new to learn by listening to how they describe those problems and what else they find frustrating about their circumstance or the process of trying to resolve those problems. Embracing the ideas discussed in this document will allow you to get better results from just about any marketing effort. Like riding a bike with air in the tires, everything about your marketing will be easier when it’s based upon an irresistible message. If you want to take your marketing beyond what this document can help you do, apply for a complimentary Next Level Strategy Session below to help you get clear about your business objectives and how more effective marketing could help you achieve them. 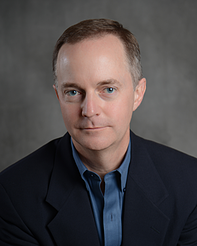 Andy McClure helps small businesses attract and retain more of their ideal clients.